Home / News / Apply to be a Spring 2019 Move-Out Worker! 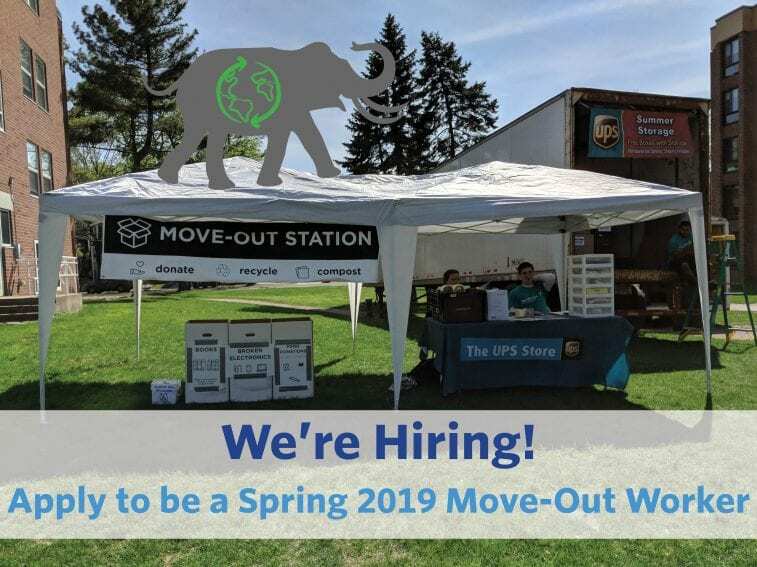 The Tufts Office of Sustainability and The UPS Store® are looking for people to manage move out waste and help students store or ship their belongings for the summer. Workers will staff outdoor move out stations, collect donations from small dorms, assist with processing shipping and storage contracts, put up signage and promote and facilitate effective waste diversion. Last year move out workers helped Tufts cut the waste that would normally end up large open top trash containers in half and thanks to their efforts, Tufts successfully diverted 11 tons of waste from the landfill. You can sign up for as many shifts as your schedule allows, however, preference is given to people who can work multiple shifts. When applying, please list your availability between May 2nd and 25th. For more information or to apply, head to our post on Handshake, here! Applications due by 5pm on April 11th!– deadline extended! Get your app in today!